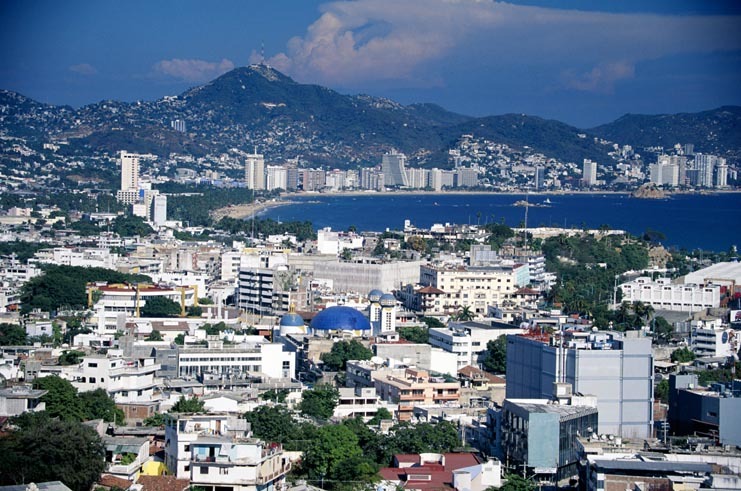 Mexico's original seaside resort, Acapulco has enticed vacationers since the 1930s. The Kennedys and the Clintons honeymooned there, Elizabeth Taylor was married there, Placido Domingo has a home there, and other film stars have been relaxing beneath its palms since the heydays of Errol Flynn and Frank Sinatra. These days, Acapulco is bigger and, in some ways, better than ever. The coastal city of Acapulco is also a backyard beach to residents of Mexico City (the national capital is just 250 mi/400 km away). As a result, Acapulco feels more authentically Mexican than other resort towns such as Cancun or Los Cabos, which are tailored to vacationers from abroad. A playground that never sleeps, Acapulco is home to dazzling restaurants and decadent discos. Dine on sushi one night and posole (a regional specialty) the next. And if heavy metal and pulsing techno are not your thing, belt out a song at a karaoke bar. But don't expect to get much sleep. The way to experience Acapulco is to dance all night, sleep half the day and fuel your body with sun and spicy foods in between.